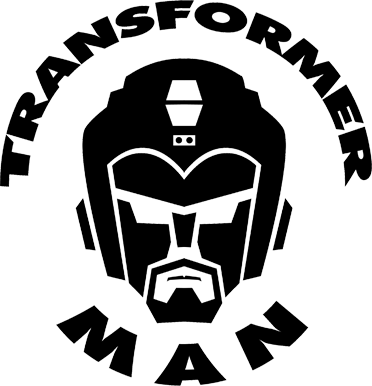 Transformerman Inc. is a toy museum, toy store, and 3D printed parts store. Transformerman Museum exhibits Transformers, GI Joe, Masters of the Universe, WWF Wrestling and other too numerous to mention. The collection is so large it will be featured in 2020 Book of Guinness World Records. Transformerman is located Orange County California 20 Minutes from Disneyland. The development of the museum has stalled due to funding issues. Transformerman cannot open the museum or launch 3D Print without help. The goal is to sell original and 3D printed parts on the Transformerman eCommerce platform and display the collection to the public as a marketing tool. The ecommerce store will focus mainly on selling 3D printed action figure parts and 3D Print refurbished toys. What makes it possible to 3D print toy accessories is access to virtually every toy part. The plan is to copy and 3D print every accessory in the museum. Parts can be duplicated using a high quality 3d Imager and 3D Printer. Almost four years ago I was looking for extra money buying items on Craigslist and selling them on eBay part time. I purchased a Hasbro Transformers toy box for $60 and resold it for $400. On eBay typed in "transformers lot" and the same kind of items were available at auction. I started small but slowly started to make large returns from minimal investments. Eventually I expanded from just Transformers to selling all kinds of toys on eBay investing over $25,000. On eBay I have completed over 7500 transactions. Two years ago I had the idea to create my own eCommerce store dedicated to selling action figure parts and accessories for toy restorations. Instead of selling the my parts and accessories I began save them. Now I have accumulated well over 100,000 toy parts and accessories (Mostly Transformers) to launch Transformerman. We are selling original and 3D printed parts. What changed everything is when I met my business partner AJ Ard. We met through eBay. Over the years I sold him many Transformers. AJ decided to pick up from me because he worked close buy. AJ explained to me that he was completing his Transformers Collection and submitted it to the Book of Guinness World Records for largest collection. Aj's profession is a software engineer and was working for Amazon. Formerly having worked with 3D print software. AJ pitched the idea for toy restorations using a 3D printer. I became friends with AJ and we came up with solid business ideas. I spent the first 6 months of 2018 writing business plans. In June I got a $35,000 loan and filed articles of incorporation for Transformerman Inc. My business partner took a severance from Amazon and so he could work full time launching Transformerman. Transformerman was not fully funded. The business plan startup quote for $50,000. My business partner got a fraction of the severance he was supposed to, wrecked his car, and now his wife is ill. AJ was only able to put in a few thousand dollars into the business. The capital contribution was short of the agreed upon amount. When full funding did not come in we were unable to purchase the professional grade 3D printer and Imager. We tried with a lower quality 3D printer. High end 3D printers use a gel instead of plastic filaments. Without the proper 3D printer I am unable to launch the 3D print portion of the website. We need to upgrade to a more durable material. My main mistake is going forward with the business plan when my partner had not secured full funding. I assumed he would come through with funds. I should of waited until I had full funding for this project. Another mistake is trying to make the museum too big. My first reaction to budget shortcomings is to scale the museum back. The original plan was to split the museum by modern and vintage era including an area where the kids can touch the toys. Now I am going to launch with just the vintage 1980s era toys and sell the modern toys and kid toy section on eBay. Secure rent, finish building the museum, buy a professional 3D printer, purchase furniture, pay the website developer to finish the website, and invest $2500 in a small business loan program (Program takes 2-6 months to secure a loan for $50,000). The plan for the $50,000 is to purchase inventory for sale. I don't have the full rent payment for next month. If I can get funds soon I will be forced to sell all my museum exhibits including the GI Joe Battleship. The problem with selling museum exhibits is it ruins the business plan to copy and 3D print the accessories and parts. If I cannot get funds soon the museum may not happen any time soon. I need funding very soon. One Admission to the Transformerman Toy Museum. Can be Redeemed every twelve months. Two Admissions to Transformerman Toy Museum. Can be Redeemed every twelve months. Host a tour in the Transformerman museum. Parties have access to the video projector, sound system and for one hour. 12 person limit. Party is required to occur after 4 pm. Host a party in the Transformerman Toy museum and warehouse for one hour. Private parties have access to the warehouse, museum, and balcony. Parties have access to the video projector, sound system and full DJ set up. Additional $250 deposit required for parties over twelve. 35 person limit. Party is required to occur after the hours of 10 to 4 om.